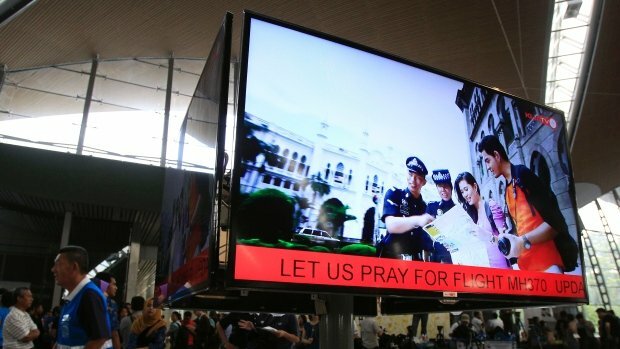 According to new reports, US officials are investigating terrorism concerns after revelations that two people apparently boarded the missing Malaysia Airlines jetliner with stolen passports. The officials told NBC News that they had found no clear link to terrorism. There are other criminal reasons, for example drug smuggling, that stolen passports might be used to board a plane. Two names on the passenger manifest of the plane, Malaysia Flight 370, matched passports reported stolen in Thailand, one from an Italian man and the other from an Austrian man, according to foreign governments. The news, hours after the Malaysia Airlines jet disappeared over the South China Sea with 239 people on board, significantly changed how US officials looked at the disaster. The officials said they were checking into passenger manifests and going back through intelligence. There was still no sign of wreckage more than 24 hours after air traffic controllers lost contact with the plane, a red-eye from Kuala Lumpur, Malaysia, to Beijing. The aircraft vanished in relatively clear weather, without sending a distress signal, at what analysts said would have been cruising altitude. In a possible clue, Vietnamese planes spotted two oil slicks consistent with jet fuel in the water off Vietnam. On board were 227 passengers and 12 crew. Most of the passengers were Chinese. Three were Americans – one adult and two children, according to the passenger manifest. Search teams from Malaysia, Vietnam, Singapore and China were looking for wreckage, and the US sent a naval destroyer into the South China Sea to help. The air search was called off during the night but was to resume at daylight Sunday, or early Saturday evening Eastern time. The Italian on the passenger list was Luigi Maraldi, 37. His father, Walter Maraldi, told NBC News on Saturday that Luigi was vacationing in Thailand and had called to check in. In Austria, the foreign ministry confirmed that police had made contact with a citizen who was also on the passenger list, and who reported his passport stolen two years ago. Asked earlier whether terrorism was suspected in the disappearance of the jet, Malaysian PM Najib Razak said authorities were “looking at all possibilities,” The Associated Press reported. Malaysia has not seen significant terrorist activity, and airport security there has tended to be exemplary. The investigation will probably take some time, partly because authorities would have to find wreckage and perform forensics tests. In the crash of TWA Flight 800, in 1996, it took more than a year to rule out terrorism.